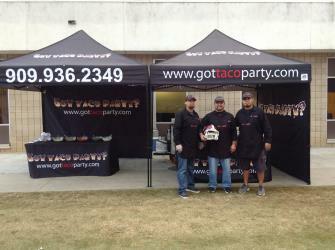 Experience the authentic mexican tacos we bring to any event. We service all of Southern California. 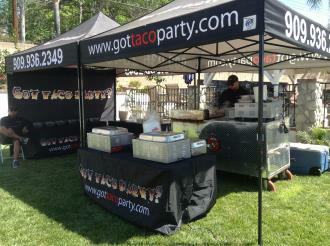 Our mobile taco grill will leave you wanting more! We offer fresh off the grill, Jalisco style tacos with all the fixings to go with it! Our meat is slow cooked, tender and marinated to perfection. Our meats include: Beef(Carne Asada), Chicken (Pollo Asado) & Pork (Al Pastor). We can also provide specialty meats or additional foods to compliment your menu.